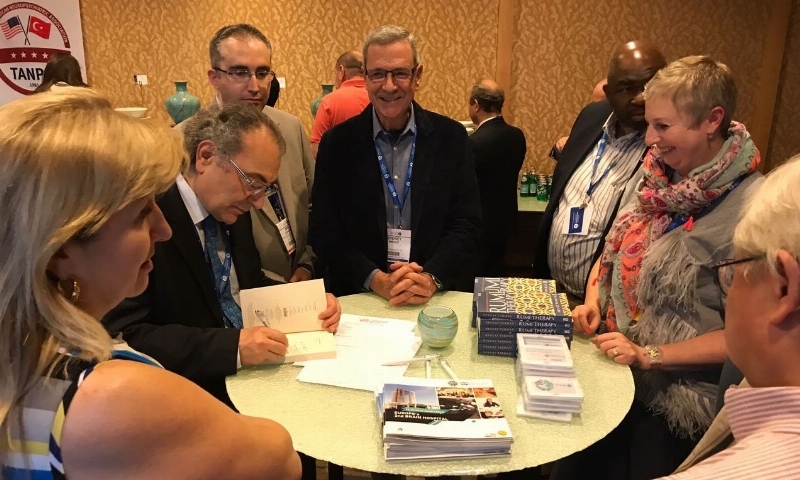 President of the Turkish American Neuropsychiatry Association (TANPA), Rector of Üsküdar University – Psychiatrist, Prof. Nevzat Tarhan brought Turkish and American scientists together within the framework of the APA (American Psychiatric Association) annual conventions at Hilton Bayfront, San Diego. The Turkish American Neuropsychiatry Association performed its 170th APA (American Psychiatric Association) annual convention. The President of the Association Rector of Üsküdar University, Psychiatrist, Prof. Nevzat Tarhan brought Turkish and American scientists together at the convention where the latest developments in diagnosis and treatment were discussed. Prof. Tarhan, has signed and gave his latest book “Rumi Therapy” to the participants after the reception.